Flood Risk Mapping — What, Why, How? 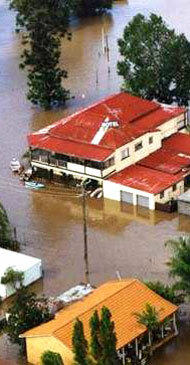 What are Acceptable Flood Risks in Caravan Parks? Floodprone Caravan Parks in NSW – Is the System Failing? Big Levees – Are They A Good Idea? Have We Forgotten about Flooding on the Georges River? The Risk of Flooding – What are the People of the Hawkesbury Nepean Willing to Accept? You Can't Move Narrabri Out Of The Floodplain! Are Residential Property Values Adversely Affected by Disclosure of Flood Risk? Notifying Residents of the PMF: Wise Practice or Political Suicide? How are Councils Managing Their Overland Flow Risks? On-site Stormwater Detention – Is it Working? Auditing Water: What’s Really Happening in the Rivers?